The team with the best hack overall will win a PS4 Pro, DJI Spark, Oculus Rift + Touch and an Apple Watch 3. Each member will also get a job interview from one of our sponsors, SPAWAR. BeatsX, and an HD monitor. First Place: Corsair K63 Mechanical Keyboards, Razer DeathAdder Gaming Mouses and a tour of High Moon Studios for each team member. Second Place: Gift cards for team members. Raspberry Pi Kits for each team member in a team of all first-time hackers. Entries must show the following: 1) Source code of calling the CityIQ Intelligent Cities API as part of the software application. 2) Presentation used for pitching solution during judging. 3) Active URL if a browser based app is deployed as part of the software application. Merge VR/AR Goggles for each team member. Use the Ethereum Virtual Machine and other distributed technologies to develop a hackathon tournament system on the Ethereum blockchain! Winner will receive an Oculus Rift headset and 2328 MTX tokens (equivalent to about 2 Ether)! 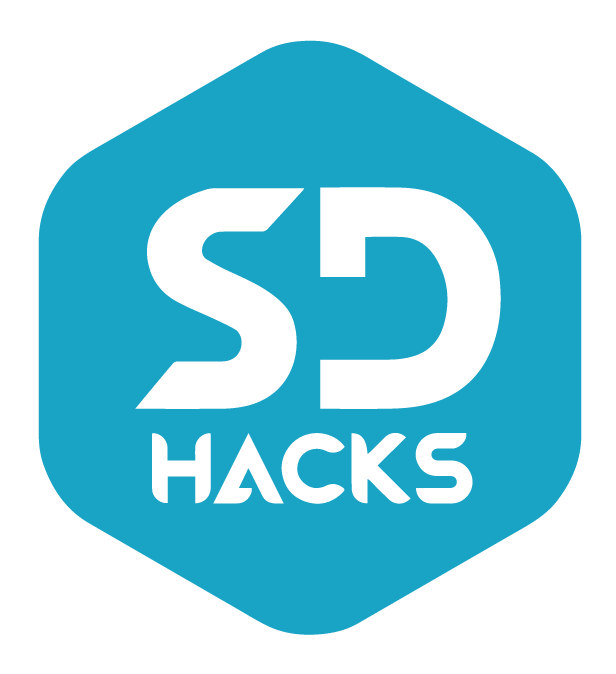 SD Hacks is an intercollegiate hackathon where top student hackers from all over California come together to create innovative solutions in 36 hours. We're hosting a dedicated hardware lab, maker space and a virtual reality lab, in addition to the many cloud APIs, prizes, and swag offered by our incredible sponsors. How difficult was it to produce the hack? How fleshed out is the solution? Does it work well? Does the hack bring a fresh new idea to the hacking community? Is the hack unique and groundbreaking?